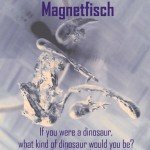 Background/Info: Australian musician Paul Handley has already been active for quite a long time and has been involved in different music projects. After a hiatus of several years Handley is now back on track unleashing 2 new songs (plus 1 remix) while a new full length is in the pipeline. Content: It’s not an easy thing to define the sound of this artist. He clearly sounds inspired by electronics and ambient atmospheres, but still with some danceable elements, which are mainly running through the title song. The other song left is more into astral sound atmospheres with some IDM-flavor on top. The remix of the title song has been made by Berliner based artist Emika. Notice by the way all songs are instrumentals. + + + : The title song is a fascinating piece of ambient & dance music with some industrial-like effects on top. The ambient aspect has been accentuated on “Auxillary Feed (First Version)”, which reveals a rather sophisticated, but efficient writing. – – – : I can imagine some sampled choirs and/or a few vocal parts could inject something extra to the work, but the artist clearly chooses for an instrumental version. It’s a cool production, but maybe without a total climax. 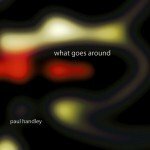 Conclusion: Paul Handley mixes different elements with each other creating an exciting ambient sound carried by some intelligent dance ingredients. Best songs: “For The Love Of Something”, “Auxillary Feed (First Version)”.